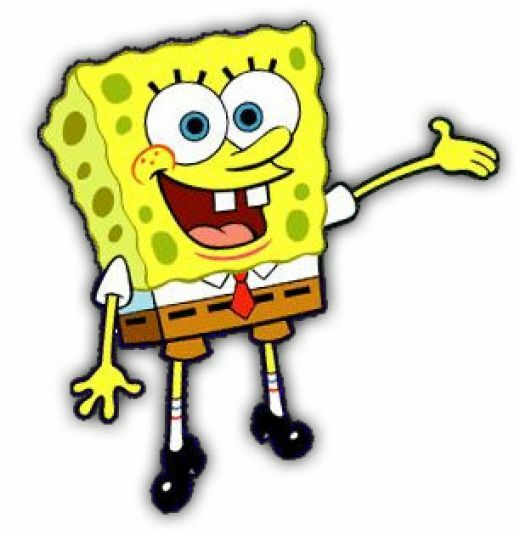 For a kid that loves Spongebob Squarepants there is really nothing more exciting than a Spongebob Squarepants themed birthday party with a yummy Spongebob Squarepants birthday cake to top it off! There are many different cake variations available out there from the more humble do it yourself with a cake sheet cakes to elaborate masterpieces that are almost too good to eat! What you end up with depends on your budget and personal taste. Some great and diverse ideas of different takes on Spongebob cakes to get your creative juices flowing! 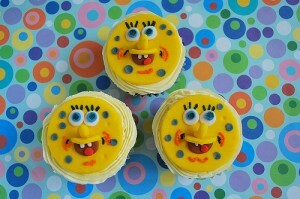 Spongebob Squarepants Cupcakes can be a true delight for Squarepants obsessed kids! Created by Pink Apron. 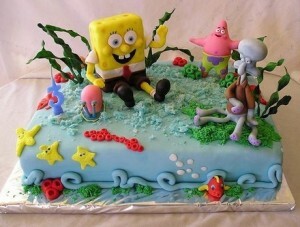 Spongebob under the sea with his mates in this fabulous cake by di Maria Pia from Cake Italy. Another cute Spongebob Squarepants cake idea from Melanie G. Bentley. 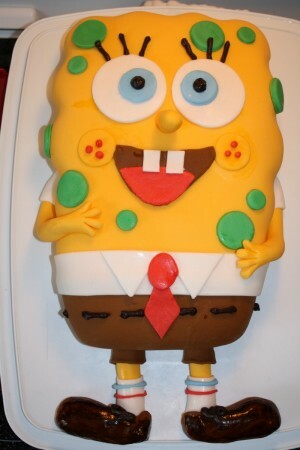 A fabulous step by step Spongebob cake tutorial from easy-cake-ideas. 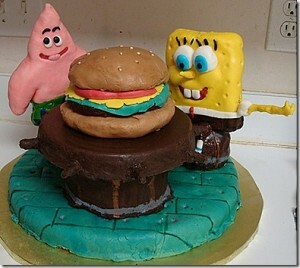 Alternatively check out this other wonderful take on a Spongebob cake with a tutorial from Life with Cake. 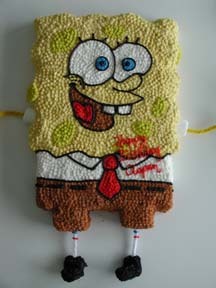 What about this awesome Spongebob and Patrick Rice Krispies Treats Tutorial by Between The Pages. 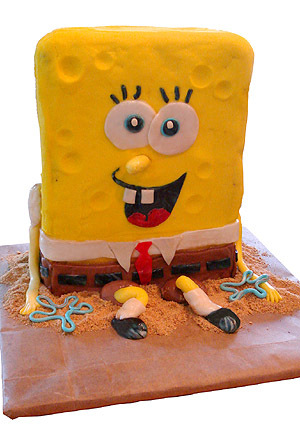 Your spongebob cakes look so delicious. I could order one right now! woww thses look soo delicouss and soo amzzziinnnnggg!!!!!! !